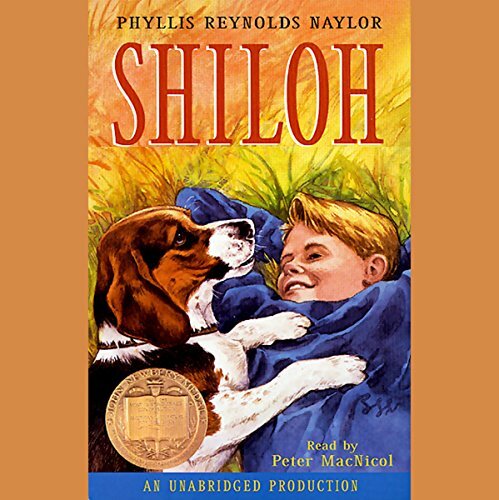 From Phyllis Reynolds Naylor comes this unabridged recording of her Newbery Award-winning tale of adventure, courage and love, the timeless and moving story of a dog in trouble and the young boy who would save him. Eleven-year-old Marty Preston loves to spend time up in the hills behind his home near Friendly, West Virginia. Sometimes he takes his .22 rifle to shoot cans from the rail fence. Other times he goes up early in the morning just to sit and watch the fox and deer. 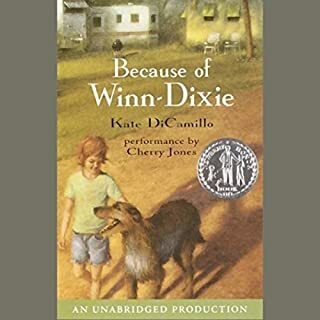 But one summer Sunday, Marty comes across something different on the road just past the old Shiloh schoolhouse, a young beagle, and that's where the trouble begins. What do you do when a dog you suspect is being mistreated runs away and comes to you? When the man who owns the dog has a gun? This is Marty's problem, and it is one he will have to face alone. Soon Marty will have to put his courage on the line, discovering in the process that it is not always easy to separate right from wrong. Sometimes, however, a boy will do almost anything to save a dog. 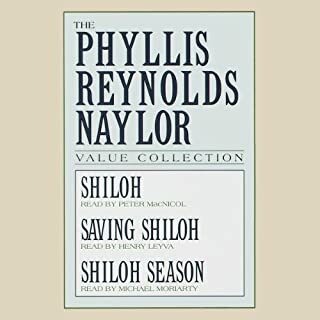 Where does Shiloh rank among all the audiobooks you’ve listened to so far? This book is one of the best books that I have listened to. What was one of the most memorable moments of Shiloh? I loved how Marty stood up for the love of Shiloh. What does Peter MacNicol bring to the story that you wouldn’t experience if you just read the book? The reader was really good. He made me believe that he was telling the story about himself. He really suited the character. He made the story to life. The Best Dog Story Ever!!!! It was sad and really, really enjoyable, especially the part at the end (we don't want to reveal the ending). I am looking forward to getting all the books. Fantastic story that kept my very busy 6 and 9 yr old boys captivated for a long car ride. This glimpse into a rural boy's life was a useful reminder of all the privileges that today's children enjoy. The main character also models courage, empathy, and moral decision-making. I couldn't stop listening either! I purchased this book for my 10 yr old to inspire him to read about things he was interested in. I started reading it too & couldn't put it down. It was entertaining & tells a good life lesson too. I thought it might be sad but was glad it had a happy ending & was equally entertaining. My son enjoyed it as well. Great for all ages!! 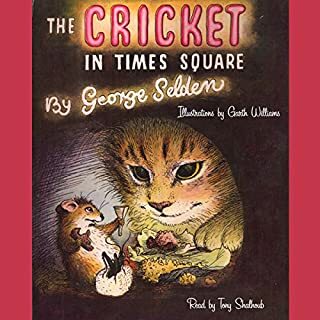 The whole family enjoyed listening to this story. It is a great way to read on a long car trip. Great performance. Beautiful story, full of heart and just a little suspense. Great for all ages. It's a rare find - a book with a story that touches the human element in all of us. Told from the 'boy's point of view, and true to his language and idioms of the South, there is a Mark Twainesqueness about its storyline. If your child appreciates reality based books, and character development, this has it. 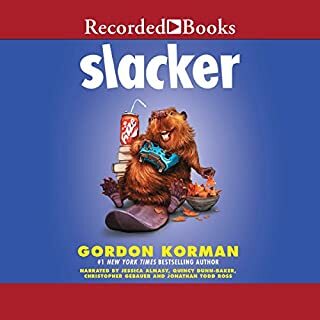 A good listen, even for adults. 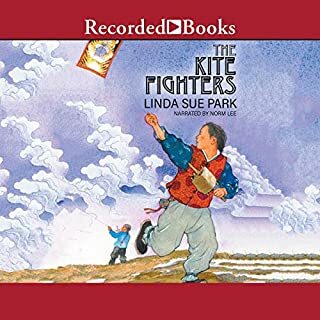 My student with special needs picked this book out of a selection of books that I recommended and it was a good match. The story involves a different kind of lifestyle that my student is unfamiliar with. It also involves problem solving and relationships with people. Young people love animals and that was the initial draw-in to the story. The story is heart-warming and young people can relate to it. I highly recommend this book. I had to listen to the entire story and then make my lesson plan for my student. I also enjoyed the book! I especially enjoyed the narration. The voices matched the story. It took me back to my own childhood when I wanted a dog so badly. I feel blessed to have my lying next to me while I listen to this story. What other book might you compare Shiloh to and why? 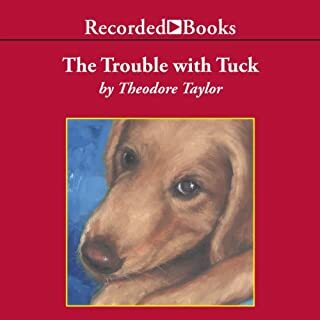 Where the Red Fern Grows...another award-winning book about dogs. What about Peter MacNicol’s performance did you like? His voice helped me to visualize the story. I was greatly moved when he described the joy between the boy and his dog. Kids today are very entitled and materialistic. I think it is a good story to show how this boy had to work very hard to get what he wanted. He was very persistent. Kids today have it too easy. Would you listen to Shiloh again? Why? Yes. It's really cool how the dog gets saved. How the kid didn't give up on the beagle. Which character – as performed by Peter MacNicol – was your favorite? Yes. I'm a teacher and I would use this in the future with other classes. All children can relate to having a pet or wanting a pet. It makes it a great engaging story that allows them to feel a range of emotions. Have you listened to any of Peter MacNicol’s other performances before? How does this one compare? I have not, but I was really impressed by his skills. No, although it could be done. It's better for my students to listen to it over time.